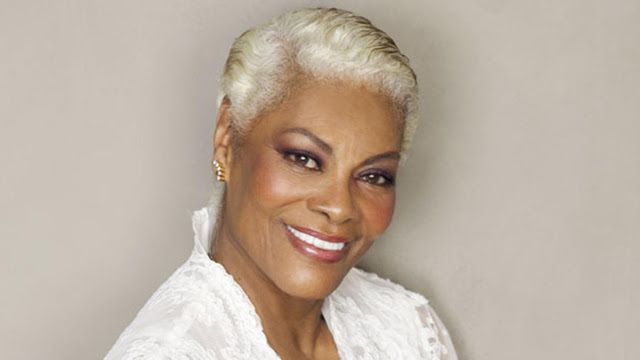 At her commercial peak in the 1960s, Dionne Warwick had the fortune--depending on your vantage--to share the “Black Woman Singer” spotlight with, arguably, one of the most accomplished voices in the 20th Century in Aretha Franklin, and the performer, who would define glamour for generations to come, in Diana Ross. Ms. Warwick was neither; her songbook is unlikely to show up of the playlists of foot-stomping, finger-popping Soul Music from the period, as her most natural peers were women like Dusty Springfield, Petula Clark and a young Barbara Streisand. Yet Ms. Warwick’s music defined what would later be called Adult Contemporary Music in the 1960s, due in part to a catalogue of songs written for her by one of the most important songwriting teams of the 20th Century in Burt Bacharach and Hal David; The collaboration produced two Grammy awards for Best Female Pop Performance (Warwick has won a total of five) and eleven top-20 hits, including eight top-10 pop hits between 1963-1971. Songs like “Walk on By,” “Alfie” and “I Say a Little Prayer” are some of the most recognizable songs from the 1960s. The hits were lean after the breakup of Bacharach and David’s partnership in the early 1970s, though Warwick would have renaissance in the late 1970s on the strength of song’s like “I’ll Never Love This Way Again” (1979) and “Deja Vu” (1979), and later her collaboration with Stevie Wonder, Gladys Knight and Elton John on “That’s What Friends are For” (penned by Bacharach and Carole Bayer Sager). Though originally recorded by Rod Stewart, the Warwick cover raised millions of dollars for AIDs research and is generally recognized as a critical moment in helping the mainstream public better understand the impact of the disease. “That’s What Friends Are For” is Warwick’s only number-one pop song. The best evidence of Warwick’s influence is, ironically, the Luther Vandross catalogue. The late singer covered several of Warwick’s songs throughout his career, including his signature “A House is Not a Home, and even produced a fine album for Warwick in the mid-1980s, which included their duet on the title track "How Many Times Can We Say Goodbye" and the original recording of "So Amazing." Below is a brief playlist of song from the Warwick’s career that speak broadly to her impact as a pop-singer.